You might think that we only care about Christmas music and personalised messages from Santa here at Santa Radio… but that’s not true. We care about everything related to Christmas and we want to do whatever we can to ensure that everyone who listens to our Christmas Radio station (iOS or Android downloads), or visits this website, has the best Christmas possible. For most of us, the best way to have a good Christmas is to watch as many festive films as possible. And, as so many people choose to watch the majority of their TV and films online, we thought it might be useful to take stock of all the best Christmas films currently on the Netflix and Amazon Prime libraries. Arthur Christmas came out in 2011 and it was an instant hit. This CGI Christmas extravaganza boasts a stellar voice-acting cast with the likes of James McAvoy, Bill Nighy, Imelda Staunton, Jim Broadbent, and Hugh Laurie. The story is about Arthur Claus – Santa’s well-meaning, but clumsy son, who does everything he can to help save Christmas when his high-tech father’s ship (not a sleigh) breaks down. This is a fun, warm-hearted Christmas film that more than deserves its place in this list! 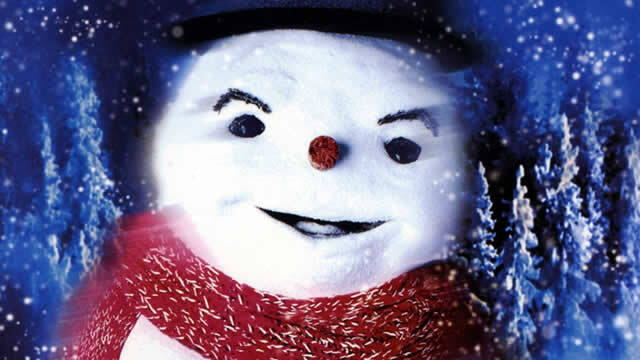 Jack Frost stars Michael Keaton and it was released back in 1998. Keaton’s character was the singer of a rock band before he suffered a fatal accident and was able to return to the land of the living as a snowman! Keaton was desperate to be reunited with his son, Charlie and, together, he and Charlie fight off the local bully and get up to all kinds of magical snowman escapades. This is a light-hearted Christmas film with a lot of emotion under the surface. The Holiday is a surprising little romantic comedy that packs much more emotional wallop that you might expect from a film that pairs Jack Black and Kate Winslet as romantic partners… The story is essentially a life swap — well, a home swap, if you want to be precise. Kate Winslet’s and Cameron Diaz’s characters are having men problems when they find an online service that allows them to swap houses with someone for a week or two. Diaz swaps her huge house in LA for Winslet’s quaint little cottage in the south of England. Both women manage to escape their problems and find romance, but there’s so much more depth and nuance to this story than could ever be captured with such a short synopsis. If you love romantic films and you love Christmas films, The Holiday is the perfect film for you this Christmas. The Santa Clause was the biggest Christmas film of the year when it came out in 1994. It stars Tim Allen as Scott Calvin, a man who accidently kills Santa by knocking him off his roof. The result is that Calvin has to take on the job of Santa Claus in his place. Throughout the next year, Calvin puts on weight and grows a long white beard as he not-so-gradually becomes Santa Claus. All of this is set against his real-life struggle of trying to continue to see his son, even though his ex-wife and her husband think he isn’t responsible enough. 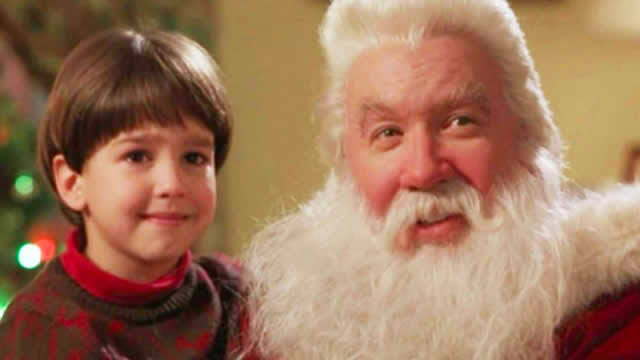 The Santa Clause is a fun-filled Christmas film with plenty of heart — which is pretty much exactly what most of us expect from a good Christmas film! Okay, so we put this “film” in for a bit of a laugh, but we do think it’s a great thing to watch this Christmas! Essentially, The Fireplace for your Home provides you with a video of a crackling fire to help warm your cockles and create a festive atmosphere. As so much of what makes Christmas great involves spending time with family and talking, it’s good to stick something on the telly that won’t stop everyone from talking and interacting. Disclaimer, unless your TV is broken and giving off too much heat, the Fireplace for your Home on Netflix will not provide adequate heat to get you through a cold winter’s night – so stick the heating on too, for the full effect. There is almost too much to say about Tim Burton’s 1993 macabre masterpiece, but we’ll say a little more anyway. 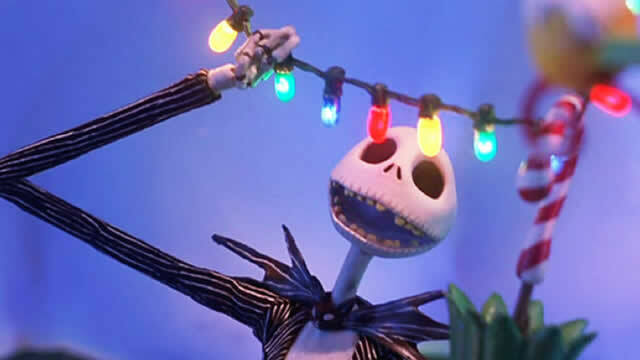 The story follows Jack Skeleton, the King of Halloween Town who accidentally stumbles into Christmas Town and becomes obsessed with Christmas. This Claymation animation is Tim Burton at his best and the script is jampacked with jokes that will amuse adults and children alike. The film’s whole look is classic Tim Burton, but the music throughout the film, along with the score, was composed by Burton’s partner in slime, Danny Elfman, and it’s a perfect fit with the film’s eerie aesthetic! 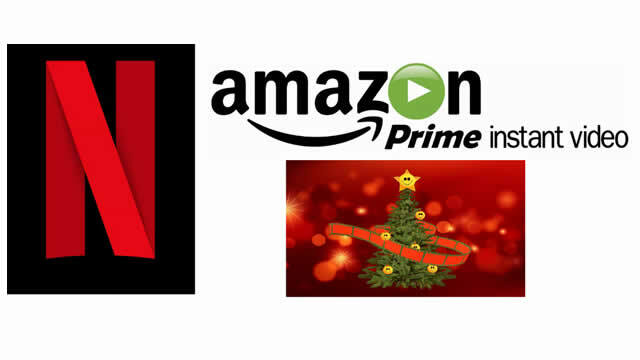 The Christmas Chronicles is a new film from Netflix as it tries its best to compete in the movie making industry as well as the TV show industry. The film’s producers were also responsible for Harry Potter and the Philosopher’s Stone and Home Alone, so they clearly know what they’re doing! The film stars Kurt Russell as a tough, no-nonsense Santa who needs the help of a brother and sister to help save Christmas. The whole saving Christmas thing is standard fare for most Christmas movies, but that’s because it works! In fact, four of the films on this list are about exactly that! It’s a Wonderful Life is one of the most beloved Christmas films of all time. Even though it was made in 1946, It’s a Wonderful Life seems to have survived the test of time better than some other films made in the 80s and 90s! It stars James Stewart as George Bailey — a kind-hearted man driven to despair on Christmas Eve. Bailey is saved by an angel called Clarence who highlights how wonderful his life really is by showing him how much worse off everyone would be if Bailey had never been born. It’s impossible not to cry when watching It’s a Wonderful Life, but they’re mostly happy tears, so it’s okay! Elf came out of nowhere in 2003 to become one of the most beloved Christmas films of all time. It stars Will Ferrell as Buddy, a human brought up by Santa’s elves who discovers that his real human father (James Caan) lives and works in New York City. Buddy goes on a Christmas adventure to meet his cantankerous, Scrooge-like father and he falls in love with a toy store worker played by Zooey Deschanel. In the end, Buddy, his father, and his father’s other son must help Santa save Christmas. Hilarious, heart-warming, and utterly re-watchable. What else could you want from a Christmas movie?